Google is now testing a new location tab and section within thee hotel knowledge panel. The location tab contains information that tells you what is around the hotel, such as sections like highlights, top sights and a getting-around section. Sergey Alakov captured the test, and was able to share the following screen shots below. An important aspect of picking a hotel, at least in regards to vacations, is to know what is located around the hotel and what you can do with the family around the hotel. 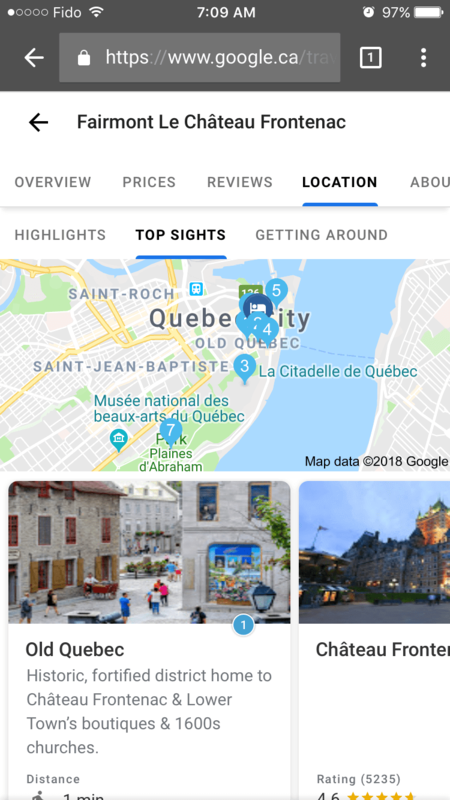 This tab provides this feature and more, including what Google is calling a “location score.” The location score grades the hotel’s location based on its proximity to the top sights, ranging from from public transit to airports.